Hardware review by Lee F.
The bar for good sound quality is pretty high these days, and once you’ve enjoyed that quality it’s hard to listen to anything else. My current Audio-Technica pair, ATH-M50, has been my trusty companion for years, and it still sounds great. I’ve had no complaints, but they’re all I’ve really known for a while, and I was excited to see if these Mobius headphones (“Mobii”?) would be worth the whopping $US400 price of admission to the experience. 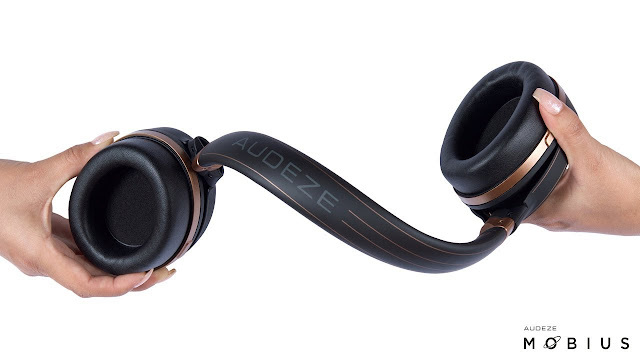 Out of the box, you’re greeted with URLs to an e-manual and the Audeze HQ application. The app itself is for more than just firmware upgrades though, showing you a three-dimensional head reflecting the position of your own, assuming the headphones are on them, in relation to where the audio source is centered. This software feature only seems to function when plugged in via USB, but the audio and 3D mode is identical regardless. As far as features, the Mobius headphones have everything you could want conveniently on the left headphone: in/out volume control dials, plug-ins for the detachable mic, USB-C and standard audio jack, microphone toggle, power button (tap twice to Bluetooth sync) and 3D button. 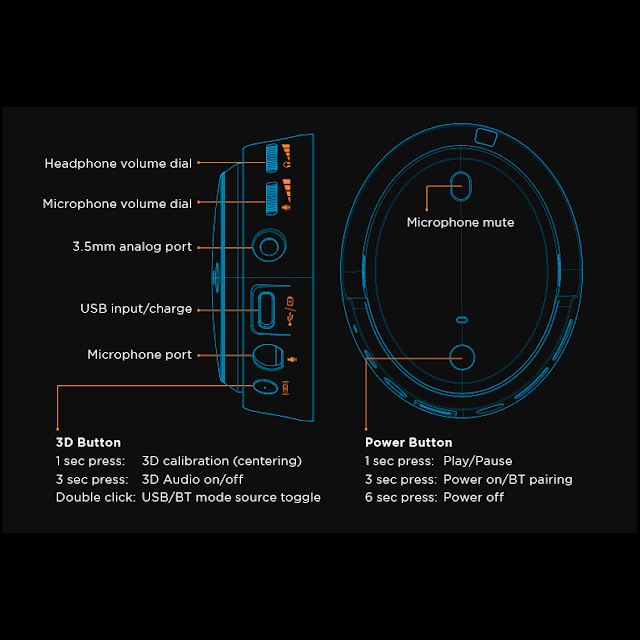 The 3D feature is what intrigued me most; I haven’t had an opportunity to try such a headset, and at a glance, “3D audio” sounds like a bit of a gimmick. After all, audio in 3D games are already mostly 3D by way of the software, so what could be different? Turns out it’s not related to that at all, rather, the headphones “center” onto where you’re looking when you plug them in/connect them/press the 3D button on the side. If you turn to the left, the audio moves to the right appropriately, and vice versa. Neat! Combined with the subtle echo (as per the default Room Ambiance setting in the app), it gives the illusion that the sound is coming from your screen. It’s a bit of a novelty, but it’s immediately noticeable when you turn your head even slightly, reminding you it’s there. I feel a little surprised every time I get comfortable for a while then move my head; as I’m lulled into a false sense of security it snaps me back, wordlessly saying “hey, you’re wearing Audeze headphones.” Even better is when the sound “center” automatically travels to where you’re facing now (as someone with multiple monitors it’s really cool), as if some invisible, harmonious drone were behind it all. I find them quite comfortable to boot. The padding is both thicker and softer than average, complementing how snug they are, but they should be a good fit for most people. The band that goes around the top of your head is made of an interestingly flexible material that the manual all but challenges you to try to break, yet retains its firmness and returns to position. As for adjusting the length of the band, my initial impression was that it wasn’t adjustable, but is really just deceptively difficult to pull and push back, with force that feels like it’d break most plastic. But let’s go back to the Audeze HQ app. The main screen with the 3D head model shows a “personalization” menu on the left. Two of the options are for adjusting to your head. These appear to affect the tracking, while the third option, the ambiance, affects the subtle echo and the size of the “source.” In other words, turning the ambiance all the way down and turning left will make it sound like it’s right next to your right ear, with nothing on the left; turning it all the way up causes it to sound like it’s coming from a loud stereo echoing through a house. All of it sounds nice, and I find myself experimenting between the default and the two extremes.Since I’m fairly certain my head size is at least similar to the default, and for lack of any desire to accurately measure my head for a tracking which is already automated, I left that bit alone. That’s all well and good, but how’s it sound? Great! Spectacular, even. But I will admit it was a bit of a shift. Compared to my ATH-M50 pair, I think they sound better, but that may be the novelty of the 3D feature helping there. At first I thought the treble on them might have been a little sharp, but I think it’s just a contrast of how damn good the bass is by comparison. Hoo yes, me likey the bass. What I do find strange is how it handles an external microphone, in my case a Blue Yeti--the playback on my voice is much, much louder, but only to me when monitoring it via software. I’m not sure if this is due to using an external microphone. Now, my biggest concern was with the Bluetooth connectivity. 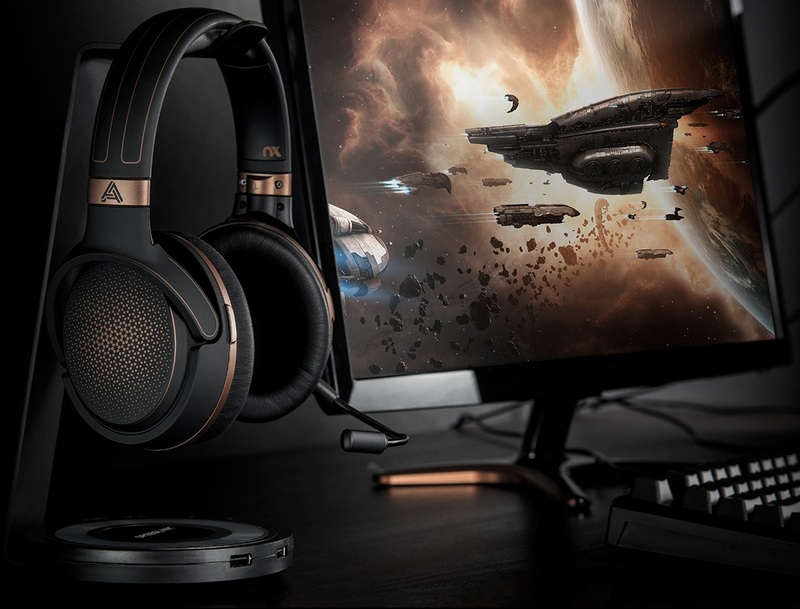 My past experience with Bluetooth audio in gaming was less than stellar, and I didn’t expect these to be much better. Surprisingly, they are, by way of Qualcomm aptX audio, which enhances the Bluetooth transmission. There is (and likely always will be) some latency, but it’s low enough to only barely be noticeable. I’m not sure how much better this would be with a more powerful Bluetooth transmitter connected to my PC as opposed to the USB dongle, but I doubt it’s ever going to achieve zero latency. Of course, the ultimate test was with microphone monitoring latency, which bugs me at even the tiniest delay. I’ll have to resign that Bluetooth technology will never be suitable for that (at least for me). But, that’s a niche - for every day use, as long as they’re not always on and running, I could see these getting quite a bit of use. Which brings me to the downsides. As delightful as they are, though, there’s are a few to give the headset a not-so-silver lining. The battery lasts for several hours, but still drains while plugged in via USB to your computer. They don’t charge very fast at all simply plugged in, which is a testament to how powerful the hardware behind them is, but also speaks to its inefficiency. Extended use at a PC is a gamble as a result; many programs aren’t equipped to gracefully handle a sudden change of output device. Most do, but the ones that don’t either require you to set a new default output in your audio settings, reset the program completely, or both, and the charging process is slow even with them off. In fact, my PC seems to need to have them re-plugged in in order to charge them, or it forgets they exist entirely. Speaking of which, since I’ve had the headset, I’ve pretty much always had it plugged in. At present it’s all I’d be using it for, and since I have a backup I don’t mind too much waiting on the charge, though I do mind that I have to switch cables for it. What’s strange, though, is ever since I’ve had the headset in, I hear the sound of a USB device disconnecting and reconnecting every, um, “so often,” long enough in between to not be a glaring issue but frequent enough to merit a note here. I’m willing to give the headset the benefit of the doubt that it’s my PC at fault though, and the fact that I’m using a USB hub, which the manual specifically warns about being insufficient to properly power this particular headset. The biggest issue though, which may be a little nitpicky, is the fact that there’s no noise canceling. This is an ironic flaw, in that it actually enhances the illusion that you’re not wearing headphones, but you’ll hear quite a lot of external noise. This is noticeable in comparison to my old headset, which also lacks official “noise canceling.” It’s just the material of the cozy ear cups that practically invite your neighbor’s barking dogs into your ears’ sacred space, and I would’ve liked the option to, well, uninvite any external discord (or simply had ear cups made of sterner stuff). In fairness, if you’re spending the hot buck on these, you’re likely an audiophile yourself, and enjoy your audio at volumes which, unless it’s especially ambient (which also sounds spectacular with these), will be drowning out much else. I’m also fairly certain, by the manual’s on-the-nose, Hitchhiker’s Guide-referencing cheek, that these were designed for use by galactic travelers. I can understand why they would disregard noise canceling in the vacuum of space. Overall, in a word, the Mobius is impressive. The headset sounds great and has added novelty, conveniently-placed controls, will last long enough for all but power-users, and as such the good generally outweighs the bad. 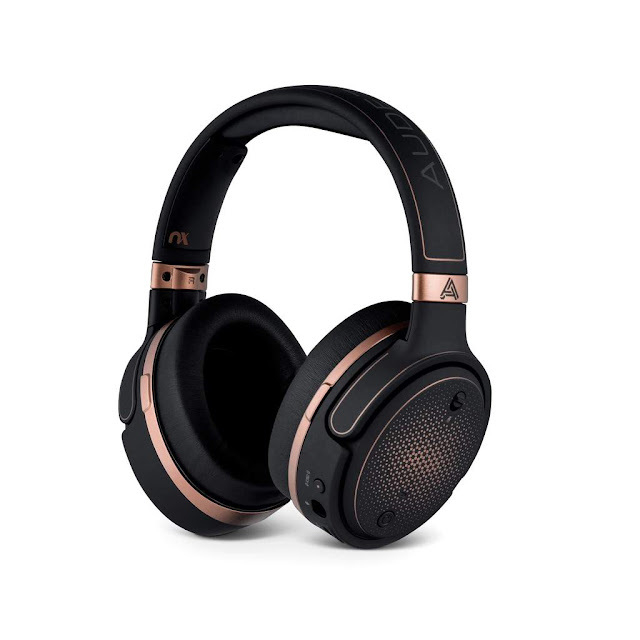 If they’re within your budget and you want some bragging rights over your buddy who keeps flaunting those Bose headphones, wait ‘til he gets a load of these bad boys.